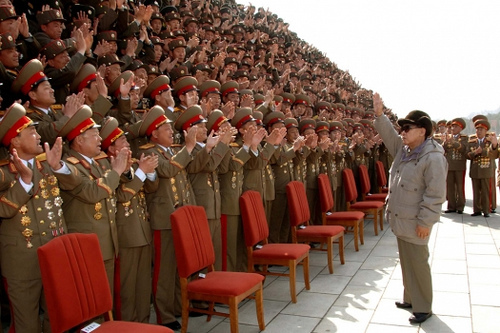 February 16th, 2011 marks the 69th birthday of Kim Jong-il. As leader of the Democratic People’s Republic of Korea, Kim’s birthday is a major national holiday accompanied by mass celebration. That means figure skating, synchronized swimming, and general disregard for the serious social instability threatening the nation as a result of a food shortage. 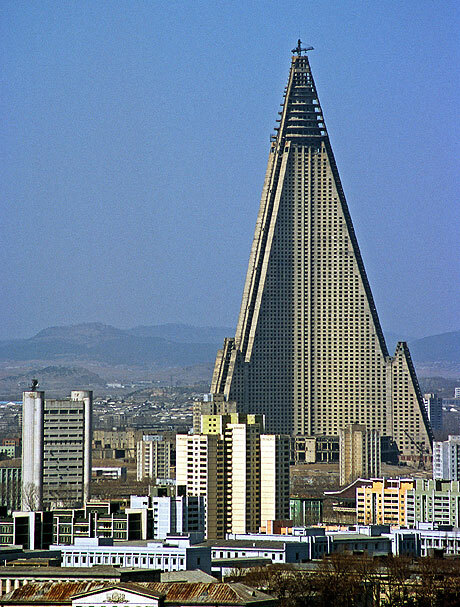 Worth mentioning while on the subject of North Korea and its domineering tendencies and infrastructural failures is the Ryugyong Hotel in the capital city Pyongyang. Set to be the largest hotel in the world, construction began on the Ryugyong in 1987 and ceased five years later due to lack of resources. The building has yet to be completed. A rusting construction crane sat atop the one-hundred-and-five story structure for several years, seemingly removed sometime after the project resumed in 2008 under an Egyptian business group largely invested in telecommunications. A Flikr series showcases some of the new work done to the facade of the building. 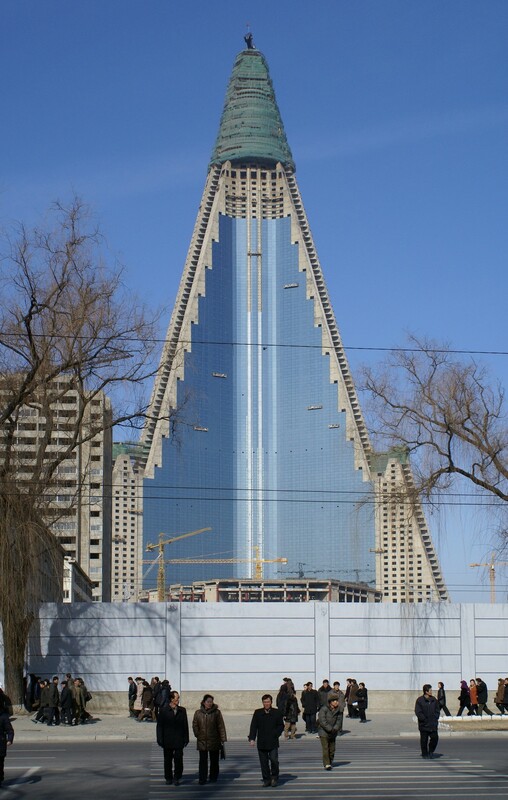 A covering of mirrored glass adorns the exterior of the Ryugyong. It’s still unclear as to whether or not any construction beyond the cosmetic has been completed in this purportedly irreparable, structurally unsound building. But enough about menacing dictators and massive, decaying hotels–what about the “human jumbotron”?